Our wines are matured in traditional 1000 ltr. oak barrels. 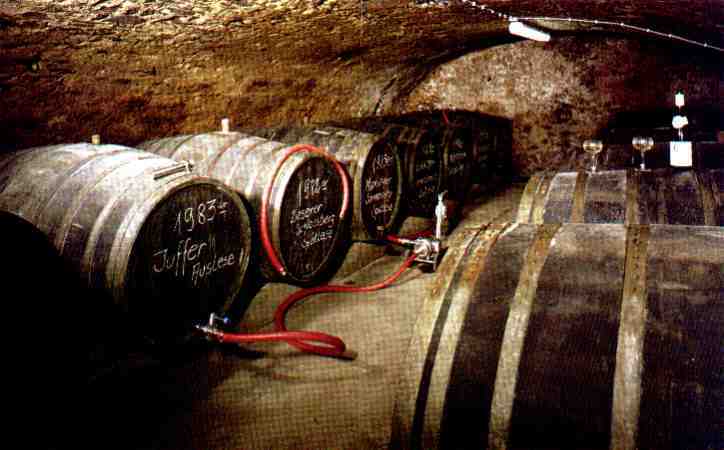 Reuter-Dusemund Wines provide a high degree of a fruity and tangy taste, very characteristic of the Mosel valley. While the wine is maturing in the oak barrels, annual checks are undertaken in order to ensure the higest quality. All wines are bottled without any additional flavourings, additives or antioxidants. We can also supply sparkling wines and grape juice.